GREEK FORMER FINANCE minister and anti-austerity maverick Yanis Varoufakis has launched a new party, part of a movement in several European countries to contest EU elections next year. “We will not mince our words,” the 57-year-old economics professor told a news conference, seated on a theatre stage next to a red neon sign bearing the new party’s name: MeRA25. Pledging to “bring realistic hope” to Greece, Varoufakis said the grassroots pro-European movement is composed of “people of the left and liberalism, greens and feminists”. He added that the party will also participate in Greek national elections, scheduled to be held in autumn 2019, but rumoured to be called as early as this year. “Our intent is to run in national elections, when they take place… we hope in a few months to be ready, ” Varoufakis said. MeRA25 is part of DiEM25, a transnational anti-establishment movement urging a “new deal” for a continent hit by the fallout of the 2008 economic crisis. “We don’t really (have a European parliament),” he said. (It) has always been there as a fig leaf for the lack of genuine democratic processes. The DiEM25 movement has no official leader. Within months, members in countries where it is active will elect a head secretary, electoral candidates and a campaign platform for every nation, Varoufakis said. The initiative promising “responsible disobedience” already has members in countries including France, Germany, Britain, Ireland, Portugal, Poland and Lithuania, Varoufakis said. Prominent backers include Canadian journalist Naomi Klein, US intellectual Noam Chomsky and British musician Brian Eno. Varoufakis’ proposals for Greece include public debt restructuring, a tax cut, and the creation of a state company to manage household debt and protect bank debtors from foreclosure. 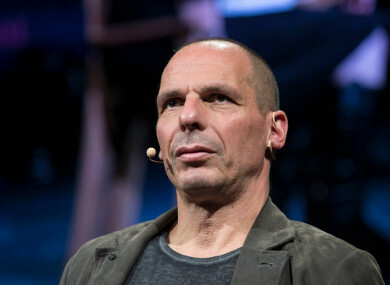 As finance minister during the early months of Greece’s radical left government in 2015, Varoufakis famously locked horns with senior European officials over the country’s bailout plan, which he argued only plunged Greeks further into recession and debt. His critics counter than Varoufakis’ stalling tactics in 2015 only brought an even harsher reform deal later signed by Prime Minister Alexis Tsipras and cost the country billions. European economic affairs commissioner Pierre Moscovici has described him as “half guru, half rock star” and a “narcissist… with whom dialogue is impossible”. Email “Greece's maverick ex-minister Varoufakis launches new political party”. Feedback on “Greece's maverick ex-minister Varoufakis launches new political party”.